Friday night music! 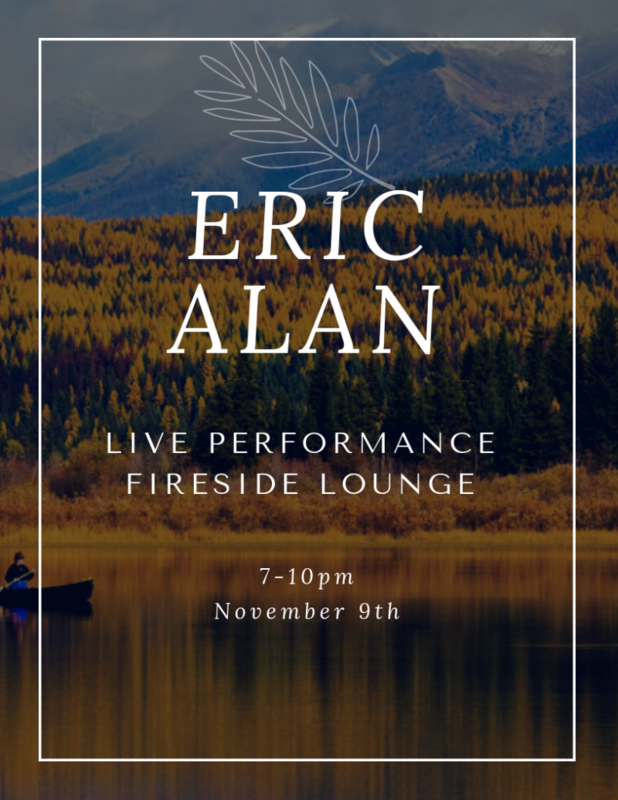 Eric Alan will perform in the Fireside Lounge from 7-10PM Friday, November 9th. 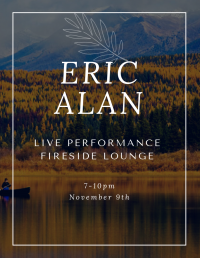 Don't miss his live performance.